Chicago Chapter 13 Lawyer | Johnson & Johnson, Ltd.
Reputable Chicago chapter 13 lawyer. Filing for bankruptcy is a major decision and one that should not be taken lightly or made without the help from a Chicago chapter 13 lawyer. One reason to file for bankruptcy is that bankruptcy can actually help your finances in both the short and long terms. 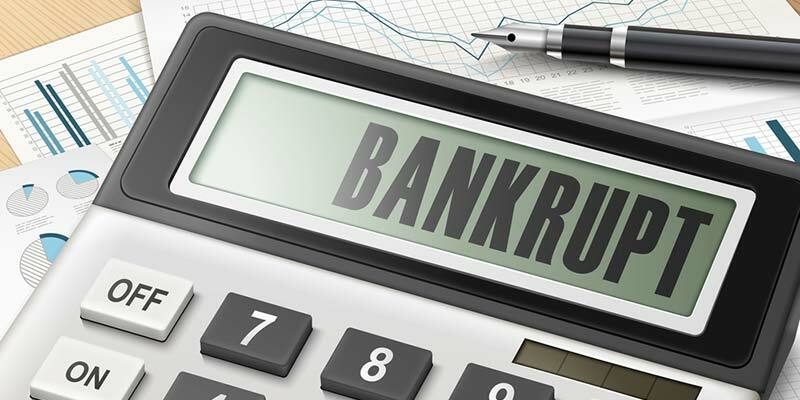 Depending on your financial situation, you may be eligible for either a chapter 7 bankruptcy or chapter 13 bankruptcy. Chapter 13 is often a very good choice for those who are employed and have the funds available to make monthly payments. A Chicago chapter 13 lawyer will help you determine how to proceed with bankruptcy. The experienced Chicago chapter 13 lawyers at Johnson & Johnson, Ltd. will guide you through the entire bankruptcy process. Your Chicago chapter 13 lawyer will explain that a Chapter 13 bankruptcy is often the most popular choice for those who are filing bankruptcy. However, not everyone qualifies for this particular option. Chapter 13 provides a legal method for resolving your debts through consolidation and repayment. A chapter 13 filing must include a plan that includes details on how all your debts will be resolved through the process. Your Chicago chapter 13 lawyer will assist you to create a plan that is favorable to your financial circumstances. Chapter 13 bankruptcy may allow you to keep some, if not all, of your possessions including your home, your car, and your furniture and other possessions. This may give you the safe feeling that you need during this rough patch. Chapter 13 is not right for everyone, so you should discuss your concerns with a reputable Chicago chapter 13 lawyer. Keep in mind that if you do not meet the qualifications for a chapter 13, you may still be able to fix your debt with a chapter 7 bankruptcy instead. As soon as you file bankruptcy you will begin to feel less encumbered. Creditors will no longer be allowed to contact you and can only contact your Chicago chapter 13 lawyer, so you will be less stressed when your phone rings. If your home is in the initial stages of foreclosure you may be able to save it; however, this will depend on many factors. If you want to try to save your home, time is of the essence. Speak with a Chicago chapter 13 lawyer as soon as possible to get the process started. When you file for chapter 13 you must provide a bankruptcy plan. The plan provides an inventory of your debts as well as a structured method for repayment. A Chicago chapter 13 lawyer will review your finances and assist in putting together a bankruptcy plan that works best for you. Creating a plan will force you to review your debt realistically and allow you to formulate an accurate arrangement for resolution. Facing your liability will give you the impetus you need to finally fix your money problems for good. Your Chicago chapter 13 lawyer will explain that in addition to a plan, you may be required to attend a financial planning workshop to learn more about how to properly handle your finances so you will not find yourself in this situation again. For some people, there is a negative connotation associated with bankruptcy. Your Chicago chapter 13 lawyer will help you understand that this is no longer the case. Many people, including some of the wealthiest in the world, have filed bankruptcy at one time or another. It simply provides a fast and easy way to get out from under the seemingly impossible money issues that are plaguing you. Bankruptcy gives you a way to get out of trouble, but more importantly, offers you a way to start over again. Learn from your past mistakes and take precautions to protect your future with help from a Chicago chapter 13 lawyer. Chapter 13 is the preferred method of filing because it provides the best credit platform moving forward. Your Chicago chapter 13 lawyer will inform you if you are able to meet the conditions for this type of filing. If you qualify, you will probably be better off in the future. You will be able to pay off your current liabilities so you can start over financially. With your money woes behind you, you can slowly begin to build your credit score again. Bankruptcy is a legal matter that remains on your credit history for a period of time. Yet, it can bring fast relief. You will be able to start getting credit cards with low balance allotments so your credit score will climb. Be aware, however, that it does take some time to fully restore your credit. A Chicago chapter 13 lawyer will answer your questions and give you the assistance required to file. The stress of cash flow difficulties can make life difficult for you. Filing for bankruptcy may be the answer you have been looking for. Years of trouble have likely brought you down and caused you many sleepless nights. Once you hire a Chicago chapter 13 lawyer and file for bankruptcy your problems are over and you will be free of stress. You will be able to fully take control of your bank account without worry. You will be taking a financial step in the right direction that will help you and your family for years to come. If you think that bankruptcy could be your best choice, contact the skilled legal team at Johnson & Johnson, Ltd. today to speak with a Chicago chapter 13 lawyer.